Looking for a way to get rid of the pounds? Look no further. 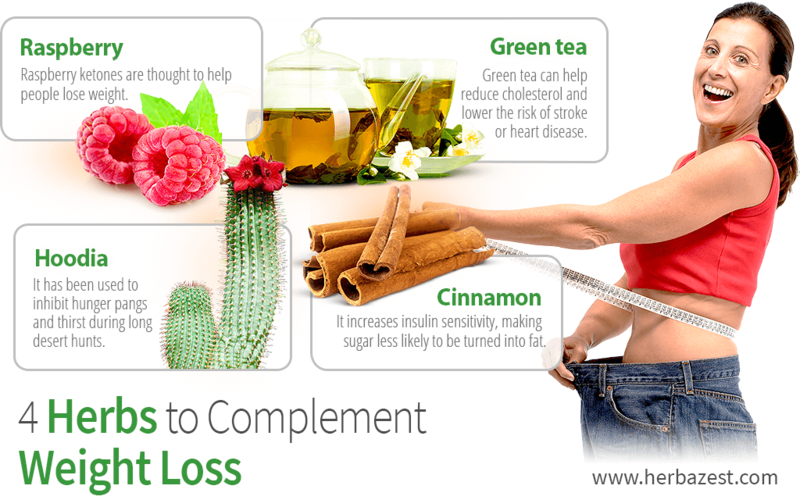 We have the top four herbs to complement your weight loss plan and aid slimming techniques. Although they are not a magical cure-all and will not melt fat off without at least a little help from diet and exercise, they can certainly give you a kick start! So keep reading below to find out about these brilliant herbs. Raspberry ketones have made the news recently for their ability to help people lose weight. Scientists have noticed that they are similar in chemical structure to capsaicin, which is found in chilli peppers, and is also said to aid weight loss. There have been promising studies involving mice about raspberry's ability to stimulate lipolysis, or the ability to burn fat for energy. However, so far no human trials to conclusively prove their safety as a weight loss aid. However, raspberries are an excellent addition to any diet and are sweet, juicy and delicious as well. This is a fairly new discovery in the weight loss market: a cactus-like plant from the Namib dessert in Africa. It has been used by the hunters of native African tribes for centuries to inhibit hunger pangs and thirst during long hunts in the barren terrain. It is currently still being investigated by scientific researchers and therefore it can be difficult to obtain reliably. Initial investigations into the properties and weight loss abilities of the plant are extremely promising. However, this impressive advantage comes with a bitter taste, so it is often mixed with food to disguise the taste or it is used in jams and hot beverages. Used for centuries in the East, green tea has been linked to all sorts of health benefits. Consumed in high enough quantities, one of these benefits can be aiding weight loss, as it increases bodily temperature and therefore calorie consumption. In fact various studies have found that drinking this powerful infusion can help reduce cholesterol - also lowering a person's risk of stroke or heart disease. In Asia the tea is often infused into baked goods or breads, but if these don't appeal and the drink is a little bitter, try sweetening with a little honey or lime juice. It can also be drunk as an iced beverage. This fragrant herb has a regulatory effect on the blood sugar levels in the body. It increases insulin sensitivity, which in turn leads to an increase in the glucose metabolic rate. Lower blood sugar levels mean it is less likely that sugar is turned into fat and stored in the body. A common way to include cinnamon into a diet is to mix it with hot water and honey. However, cinnamon can also be added to a lot of Indian and Middle Eastern cuisine as well as baked goods. It is always advisable to consult a doctor before making any radical changes to your diet or before starting a course of herbal supplements. Therefore the best ways to include these herbs is to naturally integrate them into your daily meals and regular diet.